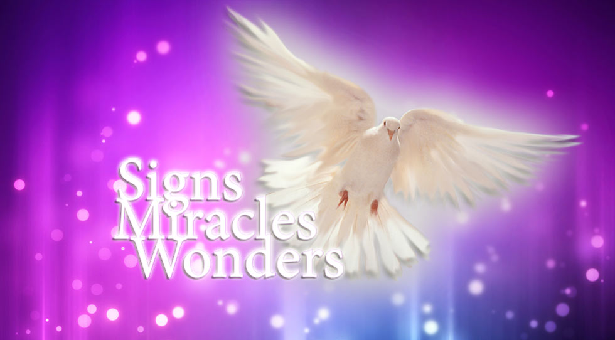 Signs and wonders will follow those who believe, says the LORD. I will release them to those who BELIEVE in ME and My power. It is My desire to manifest My glory in the midst of you. It is My desire to pour out My Spirit in your life. I will do it for all who will press into My presence, for this is where My glory is. Come to Me in your desperation. Come hungry and thirsty for ME. Abandon yourself and your life fully to Me! Relinquish the control of all yourself to ME, and watch Me work in and through you, says the LORD. I Am looking for a vessel that I can flow through. I Am looking for a willing heart. I Am looking for a surrendered life. I will receive all who will come to Me and allow Me to be their LORD. Let Me have the reins of your life, says the LORD. Give Me full control. I will do great and mighty things as you allow My Spirit to move. There is nothing that I cannot do and no limit to My power and authority. Trust in Me and allow Me to Work in and through you. Let Me do the leading. Just follow ME! You have tried to do things your way without success. My ways are greater than yours, and I will do the unthinkable. I will do the miraculous. I will do the spectacular and go far beyond your expectations in all things as you believe in Me and allow Me to have MY way in all things, says the LORD. Amen, thank You Lord my God and my Heavenly Father, Lord, I say yes to You to take the reins of my life, Lord I need You to take the lead in my life, Lord give me of Your Wisdom, knowledge, and understanding, to know when You are leading me into something that is of You and for You, Lord God You have total access to my life, my will, the desires of my heart, everything O’ Lord, and anything You want of me and in me Lord God, I surrender all to You, have Your way and purpose in me, not as I will, Lord but as You will, in the Name of Jesus, Amen!! !